Drop Forgings are mostly used where human safety, dependability, and reliability are top priority and critical. The drop forging process creates components and parts that are much stronger than those developed and manufactured by any other metalworking processes like casting and machining from bars. Drop forgings are generally component or constituent parts that are enclosed inside assembled items. This is the reason why we rarely see any drop forgings openly. Drop forgings are important input for mostly industries like automobiles, airplanes, ships, tractors, engines, missiles, oil drilling equipment, and all kinds of capital equipment. 1. 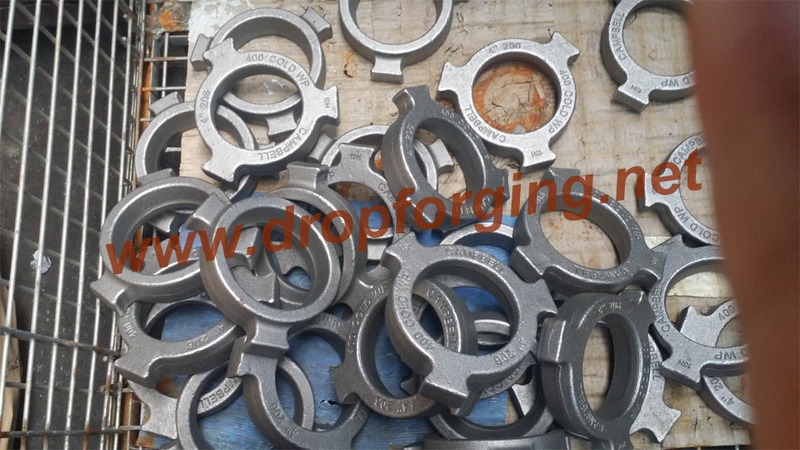 To achieve ideal drop forging products with reasonable prices, a close association and cooperation is required between the buyers and drop forging company. 2. With recent technological advancement in drop forging, close collaboration and close working with the forger is required. By keeping knowledge about the recent developments, the buyer can ensure cost effectiveness with high quality products. 3. Drop forging involves a fair amount of artistry and customisation. Henceforth, it is very crucial to involve the drop forging manufacturer into the designing and specification phases of product development. 4. The drop forging buyer should have a general know-how about the equipment and methods used in the drop forging process. Like CFS Forge, we can only produce drop forgings in closed die forging methods. If the buyer looks for open die forging, then CFS Forge is not the right option. Moreover, it is very important to confirm that the drop forging producer has the equipment and the facility to produce that part needed. 5. The buyer should have the knowledge about the capability of the producer to provide extra services like heat treating, machining, testing, quality inspection, testing and so on. 6. The buyer should a general knowledge about the scale of his supplier. The buyer can ensure that his supplier is used to producing the volume required. 7. Last but not the least, the buyer should have the information about the background of the forging seller, its core values and its professional ethics. CFS Forge is experienced in drop forgings within 0.2kgs-30kgs.Our capability in drop forging include: closed die forging, heat treatment, post machining and surface treatment. Our core competitiveness is that we can supply drop forgings in a wide range of materials, like steel, aluminum and copper. If you have RFQs of closed die drop forging, pls do not hesitate to contact us.